Curate is now live in 15 states! We’re scanning hundreds of thousands of municipality meeting agendas and minutes every week across: Arkansas, Georgia, Illinois, Indiana, Iowa, Massachusetts, Michigan, Minnesota, Missouri, New Hampshire, Ohio, Oklahoma, Texas, Washington, and Wisconsin. Although we’re expanding nationally, our focus is local. By putting a megaphone to municipalities in a way no one has ever done before — only the most relevant snippets of discussion from minutes and agendas displayed on one dashboard feed refreshed weekly — we’re able to track market intel, identify trends, and follow hot button issues anywhere in the country it matters to you. 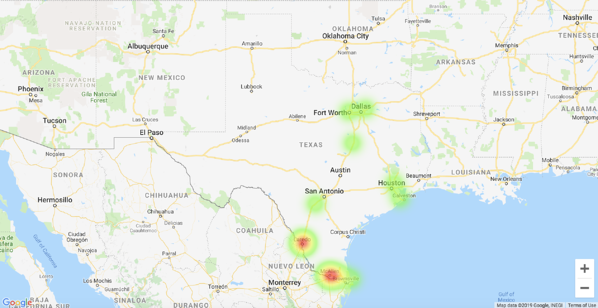 Most recently we searched the minutes and agendas from our Texas dashboard for discussions surrounding the proposed U.S.-Mexico border wall, and compiled a heat map showing where discussions were most frequent regarding the topic. Minutes and agendas, however, are also goldmines of market intel before it hits the newspaper. If journalists are attending these local meetings to report only on the most relevant discussions, we’re doing the exact same thing but optimized without the middle man. By going to the same municipality websites each week, we’re able to track discussions of construction and engineering projects, updating them overtime on our dashboard. This is a routine most newspapers don’t have the luxury of consistently doing each week — maybe when it come to reporting the construction of a new hospital in town, but certainly not for something characteristically “un-newsworthy” by journalism standards as, let’s say, a new gas station. If you Google News search “‘1650 West Algonquin Road’ Arlington Heights, Illinois” nothing shows up — so perhaps you can say with some degree of confidence that no journalist reported on the “new and improved prototype” of 7-Eleven gas stations that are claimed to launch nationwide after a successful roll-out in Chicagoland. Regardless of your specialty in construction, it’d be hard to pass up a potential opportunity to build the next best generation of Slurpee establishments. But only if you knew about it. This is also just one of the many reasons we built Curate to run on keyword search. By searching for hundreds of industry-focused keywords, like “rezoning” or “certified survey map” for general contractors, we’re able to catch, without human error, every instance of that keyword in discussion, which means we’re also able to search for custom keywords, such as specific names of businesses, developers, architects, or engineers. Consistency and accuracy is key, and the technology available today — such as natural language processing exemplified above — enables us to pinpoint the intel you want to read, not just the intel a journalist reported on. So whether you’re a general contractor in Minnesota looking to receive insights on pre-construction activity, or an association in New Hampshire looking to keep tabs on key issues discussed by communities across your state, Curate helps you stay the local expert from anywhere. Interested in setting up your own Curate dashboard? Fill out our Get Started form. Current users can contact our data team at reports@curatesolutions.com to add new geography to their dashboard. On the cusp of a second government shutdown, President Trump’s border wall is a hot topic of discussion among Texas communities beelining the U.S.-Mexico boundary. Directly from the people who experience it. Spotlighting the voice of local municipalities is what Curate does every week. This week, during the most controversial federal fiscal decision of this congressional session, we dove into the local discussion records from municipalities across southern Texas. 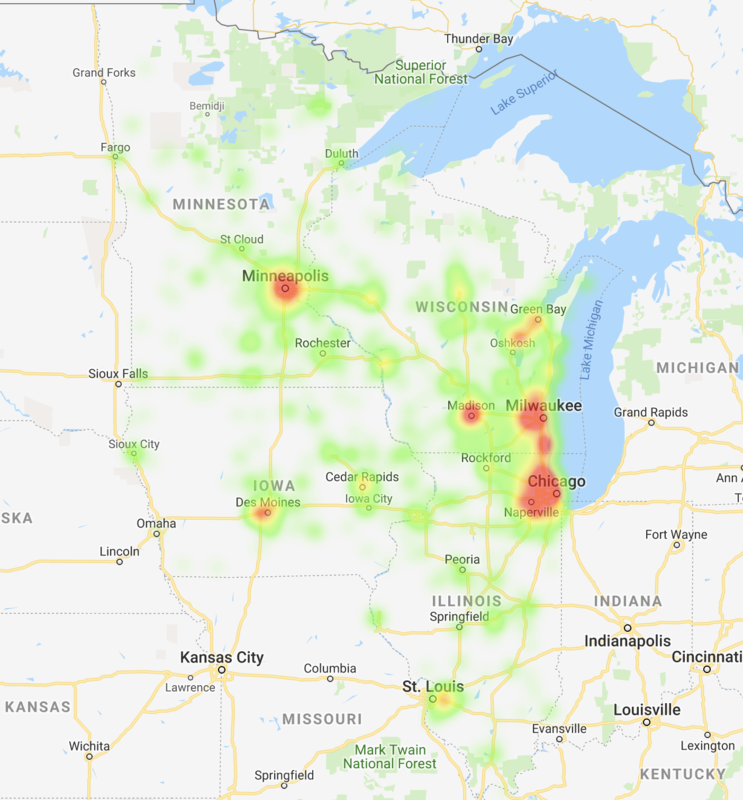 Below is a heat map of local discussions in the last two years surrounding keywords related to the proposed U.S.-Mexico border wall, such as “border security”. Some may say national media outlets tend to communicate a hot issue, like the border wall, as a metaphor for taking a stance on extremes: anti-immigration versus pro-immigration, a safe America versus an unsafe America. 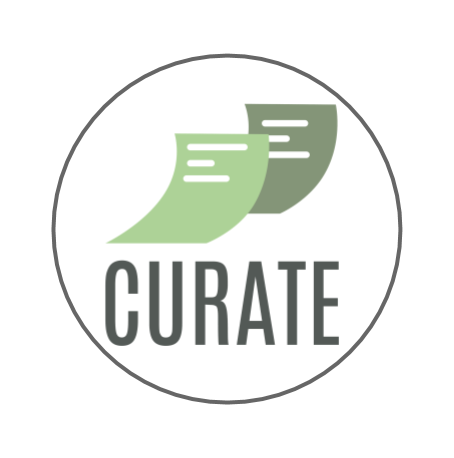 But at Curate, our focus is to simply, and unbiasedly, find those hot issues important to local communities verbatim from their municipality meeting minutes and agendas. And each community is different, with unique challenges, priorities, and opportunities that don't fit to print in the national media, or even some local media. In a perfect world there’d be enough journalists to document every issue brought up in every town across America — but, in reality, not enough of us care to know about each one. The absence of the journalist, however, does not equate to the absence of an audience who does care, like associations. By tapping into local discussion records of the communities themselves, Curate is able to provide the story to people who are directly impacted by the decisions these municipalities make on a daily basis. If you attend your local city council, you might get a complimentary agenda for showing up. Do you read it word-for-word? Maybe not. But, chances are you skim for anything that catches your eye to give you peace of mind for sticking it out for the next 59 minutes or more. Whether it be land getting rezoned for new use, such as Agriculture to Manufacturing, or a certified survey map to combine a few parcels of land, certain keywords just scream CONSTRUCTION! Worth the stay if you're a general contractor, banker, or engineer. But, it's not humanly possible to attend every city council, and no one has the time to skim through every agenda or minutes document posted online by every municipality in every county you care about. That's why we built Curate. Curate mines hundreds of thousands of those minutes and agendas documents posted each week on municipality websites for specific keywords mentioned in discussion, just like you a human would. 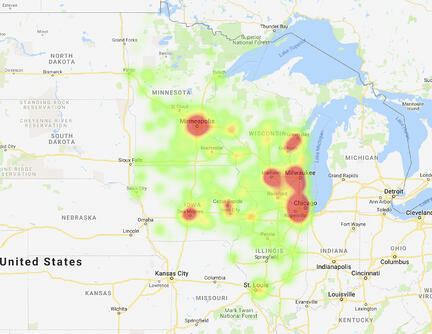 Gathering this geographically-sensitive data over time, we're able to piece together the big picture of construction activity across an entire state.